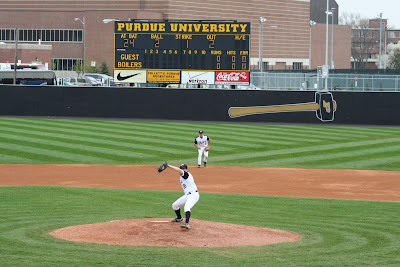 GoBoilers.net: Purdue baseball? Hello, nice to meet you! While it's fair to consider Erik and I huge fans of baseball, we really never paid too much attention to the college game. Since our major league loyalties rest with franchises that befit our Purdue pride - tortured, unlucky souls branded Cubs and Indians - we didn't have much space in our hearts or brains. That's a lie. We really didn't follow Purdue baseball because a) we never went to games, b) the colder climate of the Big Ten isn't usually college baseball nirvana, and c) no one else was talking about it (we don't need more things making us outliers, do we?). Fortunately, that has changed in two big ways. 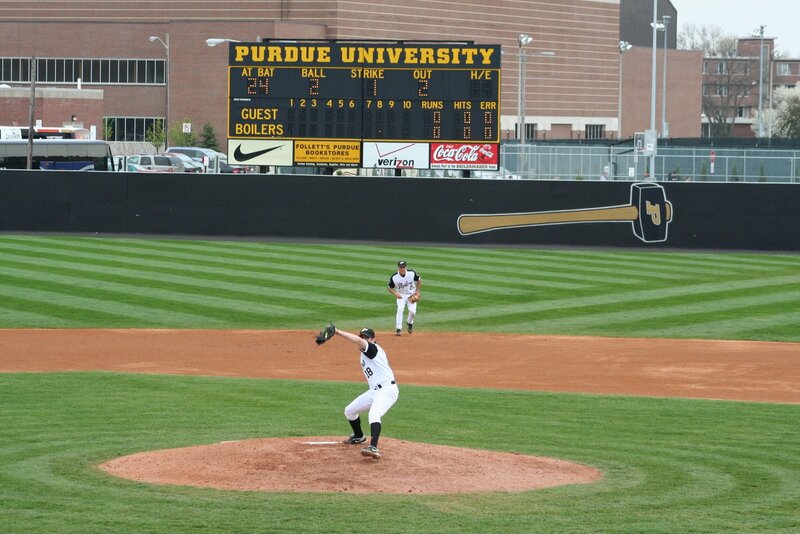 First, the Purdue baseball team is outstanding! Ranked anywhere from 16-22 (depending what you read), the team boasts some serious talent. Recent graduate Josh Lindblom is playing in the big leagues, and the team has two former all-conference selections, catcher Kevin Plawecki and pitcher Nick Wittgren. Pitcher Lance Breedlove has been named the Big Ten Player of the Week three times already this season! Second, lots of people are paying attention. You can read regular reports from serious journalists now to stay up to date. I don't anticipate we'll have much to say about the baseball season until the Boilers are rocking Omaha, but it's great to know that Purdue is fielding highly competitive teams in major sports that are too frequently overlooked.